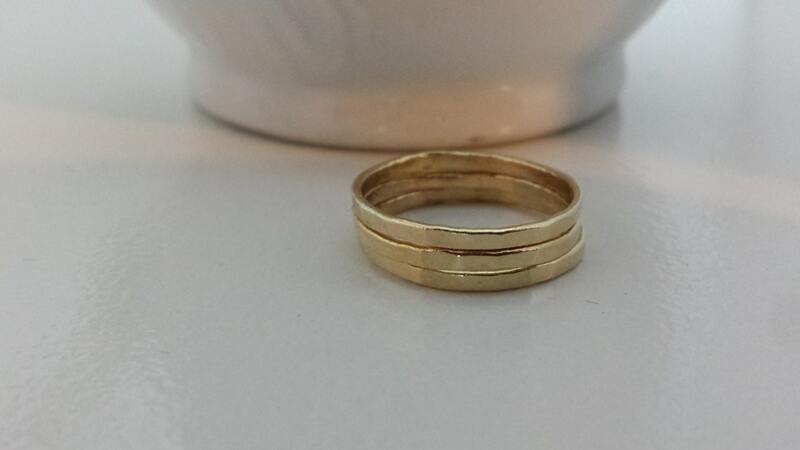 This listing is for a set of 3 rings. You won't want to take these rings off! 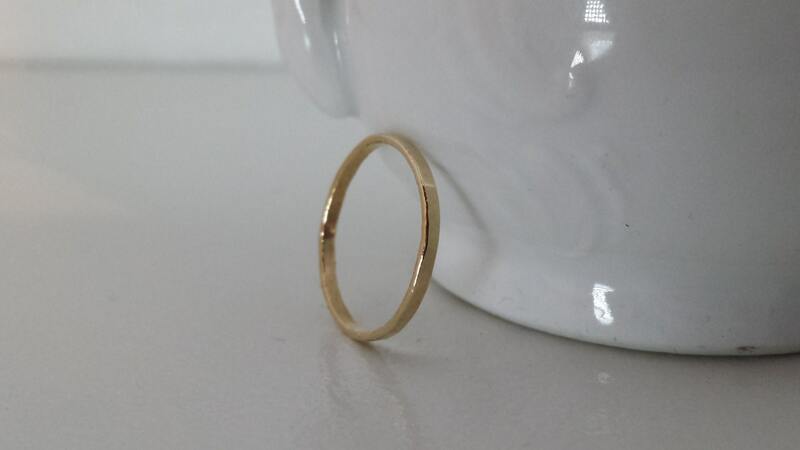 I hand form, hammer, and polish these rings in 14k gold to make a gorgeous set of rings that you can wear every day. The hammered finish makes facets that catch the light and the eye! I use 16 gauge wire to make these little guys so they are a little thicker (and more durable) than most of the thin hammered rings on etsy. Wear it by itself for an understated look or wear a bunch together for a modern, layered look. 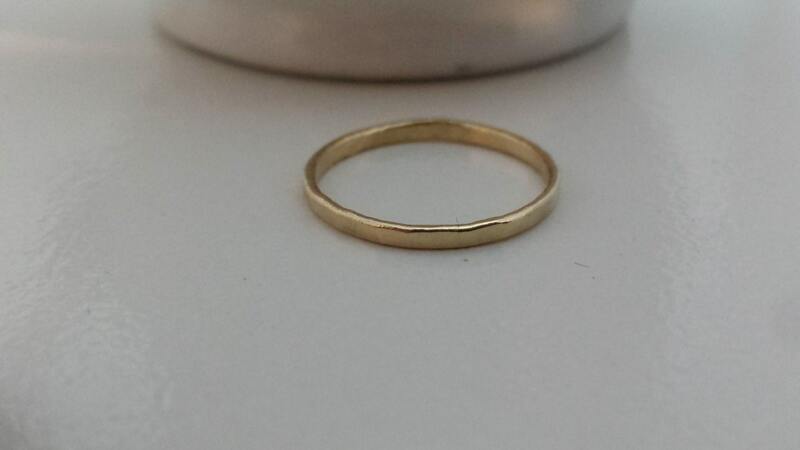 Rings are available in sizes 3-12. These rings are all handmade, so no two will ever be exactly alike! They range from 1.2mm-1.5mm wide. 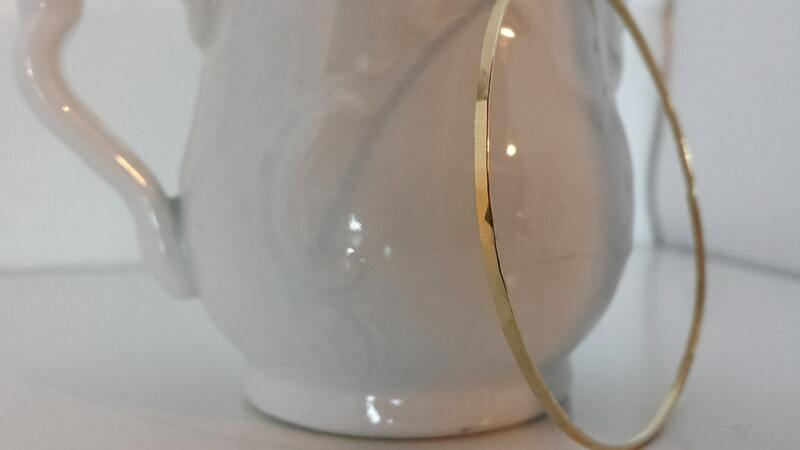 Looks gorgeous paired with my 14k gold hammered bangle shown in the last picture.